Teh ACA-630 is installed on top of the 68000 processor. The ACA630 has 32 MB SD-RAM (64 MB SD-RAM on the 30 MHz version) with ultra fast CPU connection. The memory access on the ACA630 is about 24% faster than the memory access of an Amiga 3000 running at the same CPU clock. 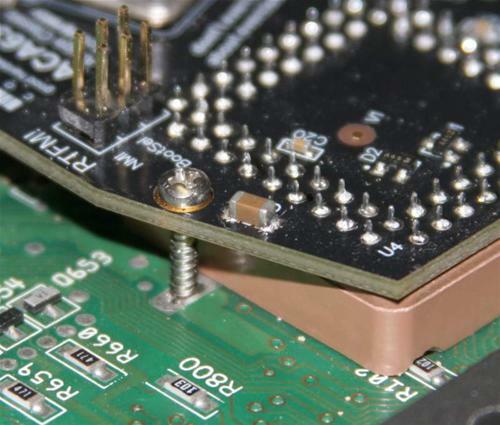 The card is fixed to the A600 mainboard with two screws. 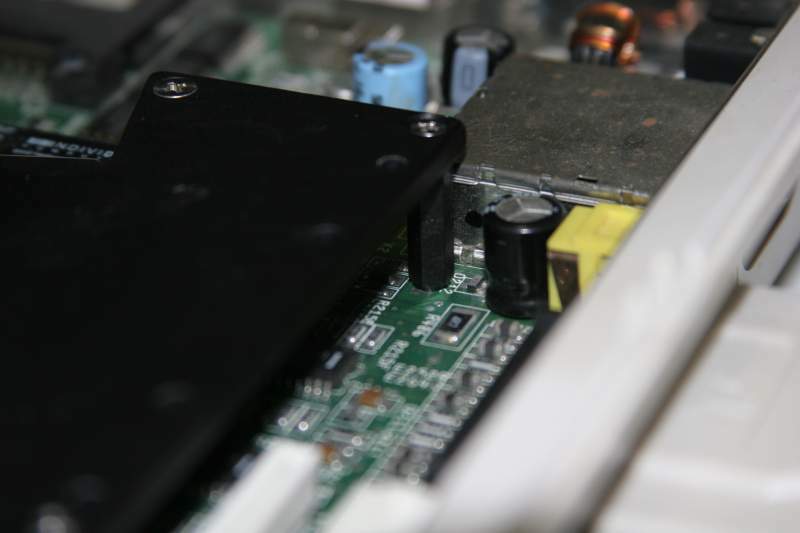 The aluminium heat sink on top of the card also serves as the mounting space for a mass storage device, preferrably some Flash-based solution. A "real" hard disk drive would produce too much heat, but it wouldn't fit into the A600 due to space constraints anyway. A603 or A604 Chipmem expansion and a Indivision ECS flickerfixer fit into the case together with the ACA630. 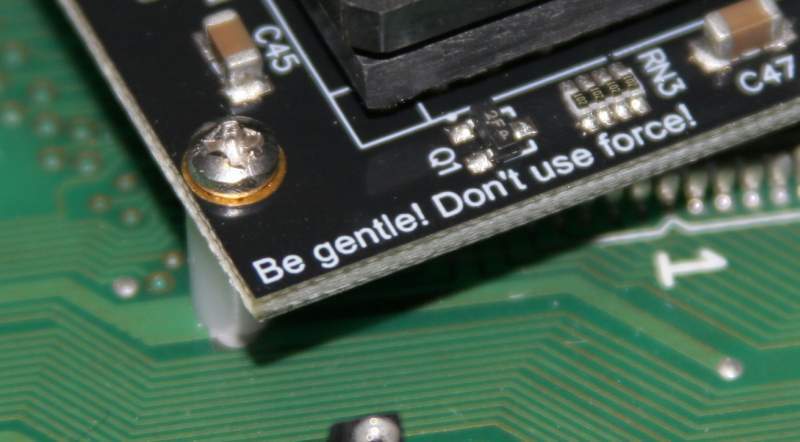 In case you removed the internal floppy disk drive in favour of the A603/Indivision ECS combination, the ACA630 offers two ways to shorten the delay at startup. You can either set the "NoDisk" jumper to disable the FDD completely, or you set the "BootSel" jumper to make an external FDD act as "df0:" drive (including the ability to run games and demos from there). The MAPROM function allows to copy the contents of the Kickstart ROM (256k, 512k or 1MB) to FastMem and use it like a normal ROM. This speeds up most operations significantly since large parts of the OS are located in the Kickstart ROM. The MAPROM function is similar to the FASTROM option offered by the Amiga OS CPU command, but the ACA630 card needs no MMU to achieve this. So in case the MMU is used for other tasks, there is no conflict. Re-Kick: Similar to MAPROM, a Kickstart ROM image is stored in FastMem. The difference is that Re-Kick copies a file and not the contents of an actual ROM to FastMem. After a reboot the new Kickstart is available and it even survives a reset. C0Mem: Simulates an Amiga 500 memory expansion of 1 MByte or 512k. Some games and programs need those exact configurations to run and would not work with the large amount of memory available in the system. Thanks to this option your A600 is compatible to games that would not work without the accelerator. If you have some very, very incompatible software that doesn't even run with all the compatibility options the ACA630 offers, the card may also be disabled entirely. 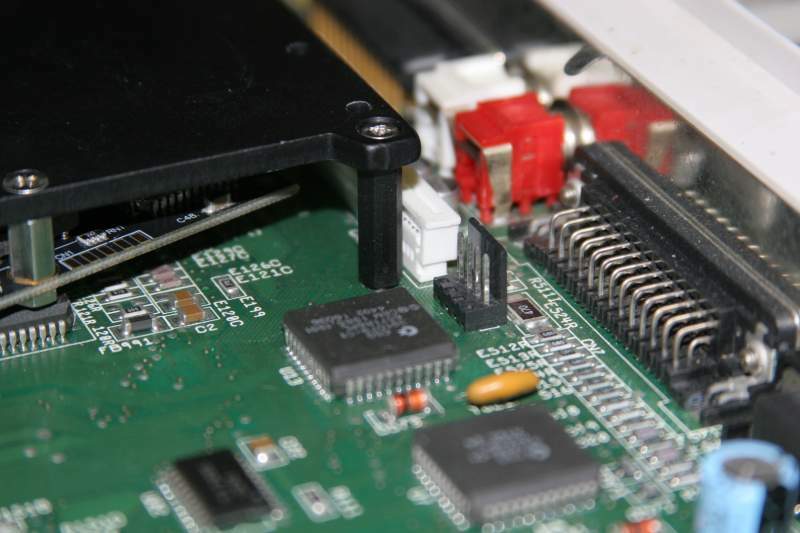 FastChip: This option allows faster access to the ChipMem (video memory) of the accelerated Amiga. Please note that this is a tuning option that may not work with every A600 mainboard or every ChipMem expansion, respectively. FastZ2: This option speeds up PCMCIA memory access. Similiar to the FastChip option, there may be certain setups that can't cope with the acceleration. It is a tuning option that must be checked in each individual case and that may need to be turned off in case of doubt. 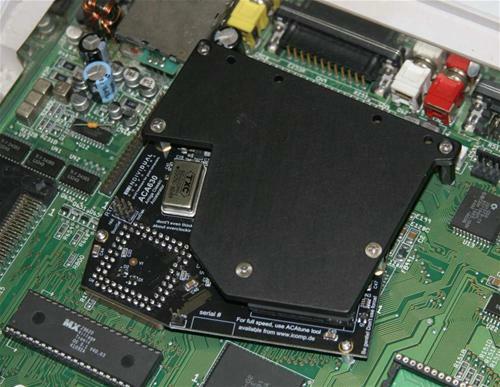 Z2Cache: This option allows the activation of CPU cache for PCMCIA memory cards. NoFastMem: Allows to turn fast 32-bit memory on the accelerator off. This will slow your computer down, so software that doesn't run well on an accelerated Amiga can be used again. The last downgrade option is to limit the amount of available ChipMem: games or applications that crash with larger amounts of ChipMem can be made to run again reducing the ChipMem size to 1 MB or even 512k. The ACA 630 does not work with A300 boards.